For holiday weekends and summer BBQs offer homemade potato salad, cauliflower salad or a favorite salad. 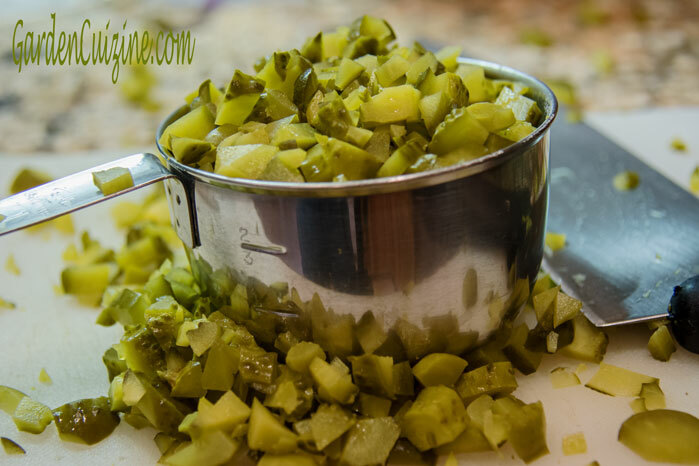 If your recipe calls for pickle relish - use the best quality relish you can find next to making your own. Always read the food label. Avoid products with added corn syrup. It's common for store bought pickle relish to have added corn syrup (artificial colors and preservatives too). For better quality pickle relish, select a jar of pickles with the least amount of ingredients and chop them yourself. Kosher dill gherkins are pretty clean and make delicious relish.